NsrEscapeGames - NEG Nsr Dragon Cave Escape is another point and click escape game developed by Nsr Escape Games. 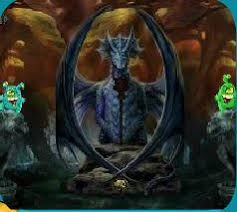 In this game, your were caught in a sneaking dragon cave. Your ultimate goal is to escape from the cave by finding items and solving puzzles as per hints you have discovered. Good luck and have fun! Nice game. No spoilers needed.